Unlocking the secrets of the blue marble we call home: EAPS scientists working collaboratively to leverage our unique wealth of physical, chemical, and biological ocean know-how. EAPS welcomes two new Professors and Emeritus Professors step aside as EAPS looks forward to our evolving faculty line-up. 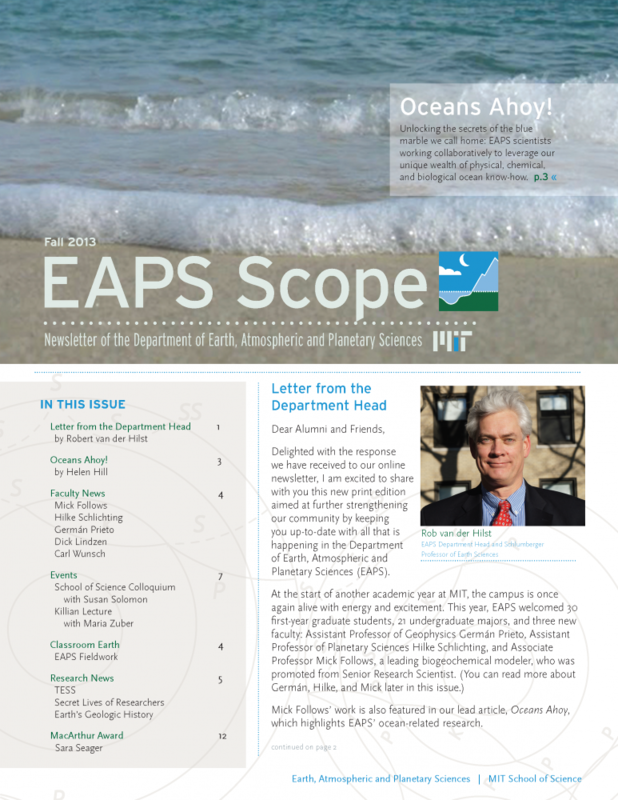 A look back on past EAPS events. To achieve the essential synergy between theory and observation necessary to understand natural processes, EAPS members must often leave the lab and go out into the field. EAPS department members are world-renowned experts in their fields. Not only do our professors and researchers comment on the news, they make the news.